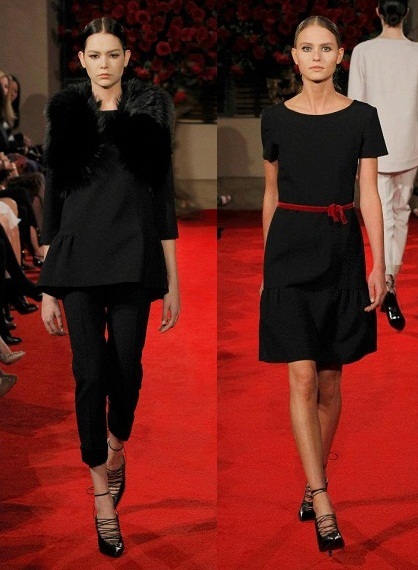 I bring you inspiration by Alberta Ferretti Pre/Fall 2013. Is really amazing and I like that simply, clean lines and precise silhouettes. The basis of the whole collection are four colors - white, black, red and blue. We see here a chiffon, furs and I really like the shoes. I look forward to my favorite red. Prinášam vám inšpiráciu od Alberta Ferretti. Ide o kolekciu jeseň 2013. Je naozaj krásna, páčia sa mi jednoduché, čisté a presné línie. Základom celej kolekcie sú štyri farby - biela, čierna, červená a modrá. Vidíme tu ľahučký šifón, kožušiny a naozaj sa mi páčia lodičky. Teším sa opäť na moju obľúbenú červenú farbu. Wow the black color outfits look great. Thanks for sharing! I can't wait to see the change in trends too! Wow, the best of this collection! Beautiful! I need more money to put these in my closet! 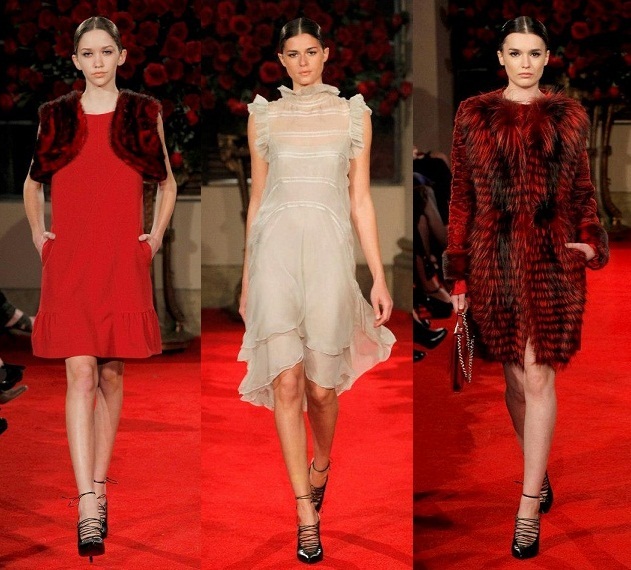 I am a fan of Alberta Ferretti, it's romantic without being over-fussy. Love that mint green middle dress, so pretty. the return of the lady, i love it! the top middle dress is my absolute fave. gorgeous colors and I absolutely adore all of the velvet! Absolutely gorgeous! I love the red and black together, so pretty! wow love these colours! They're already thinking of Fall 2013!? We just got into winter 2012/13! great post,completely agree! Love the colours! Love that red and black fur coat!!! OMG!! That red fur coat... It's amazing!! Her collections are always so classy!! I really loved black suit and dress, super stylish! Great post! I love that the entire collection was based off three colors! Very bold and distinct. beautiful and feminine, simple and chic, thank you for sharing that with us ! lovely looks!love the black dress. This collection looks so amazing!